Indulgent. Transformative. Perfectly Clean. L’Oréal Paris Skin Experts have created a super-charged pure clay mask with the power of Eucalyptus to purify and mattify your skin in just 10 minutes. 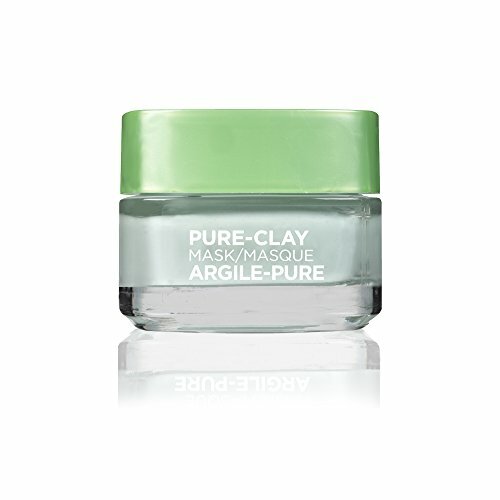 Our fresh, indulgent formula provides a soothing and refreshing spa-like experience, while powerful pure clays penetrate deep into pores to remove impurities. Purify & Mattify Pure-Clay Mask addresses your shiny and oily skin to reveal clarified, mattified, and refreshed complexion. Immediately skin appears purified and healthier. Skin looks less shiny and excess oil is reduced. Pores seem tightened and less visible, without over-drying. Use After Use. Skin looks re-energized and refreshed. Skin complexion appears fresher. Skin is visibly healthier and more beautiful. How similar is aya's skin with yours? Take the Skin Assessment to find out how similar you are and find your SkinTwins.